Roger Hanson was a lieutenant in the U.S. Volunteers during the Mexican-American War. He was shot in the leg during a duel making him lame for the rest of his life. He established a law practice and was elected to the Kentucky state legislature. When the Civil War started Roger Hanson took the regiment of Confederate troops he raised in Kentucky and enlisted in Tennessee because of Kentucky’s neutrality. When Federal troops raised the Union flag in Lexington, Hanson and his Confederate 2nd Kentucky Infantry Regiment were “orphaned” since they could not return until Lexington fell to the Confederates. In his first battle at Stones River as a brigadier general, Hanson was struck by the fuse of a spent artillery shell and died two days later. 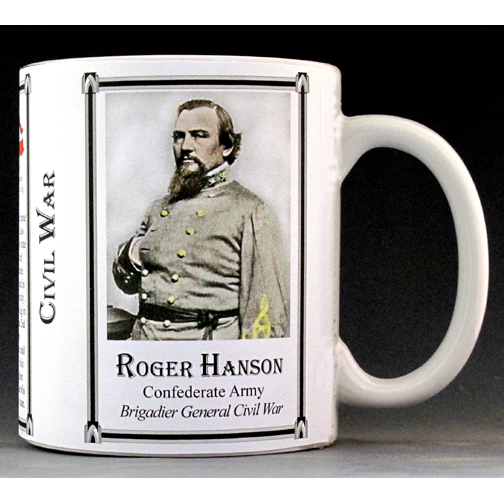 This Roger Hanson mug is part of our Civil War series profiling participants in the War Between the States. Thousands of Confederate and Union soldiers fought in battles such as Bull Run, Antietam, Fredericksburg, Chancellorsville, Gettysburg, Vicksburg, Chattanooga, Cold Harbor and Petersburg. We honor their sacrifices by telling their stories. 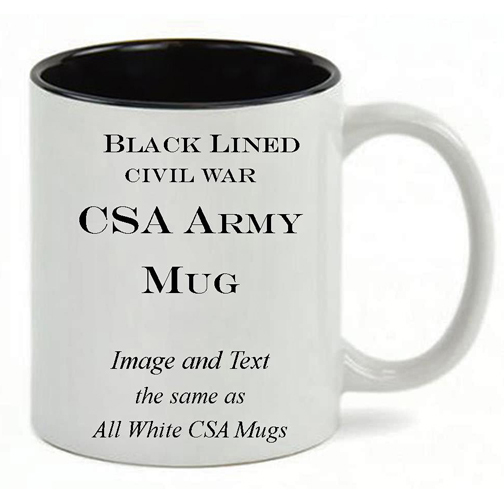 This John Bell Hood mug is part of our collection of Civil War biographical mugs. 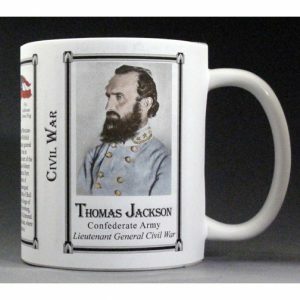 An image of John Bell Hood and a short biography are features of this history mug. 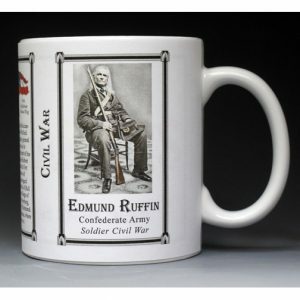 This Edmund Ruffin mug is part of our collection of Civil War biographical mugs. 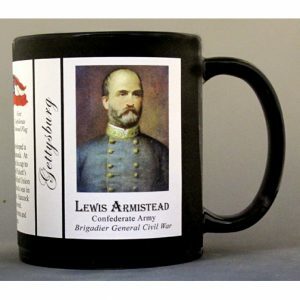 An image of Edmund Ruffin and a short biography are features of this history mug.